having innovative larger capacity than ever before. 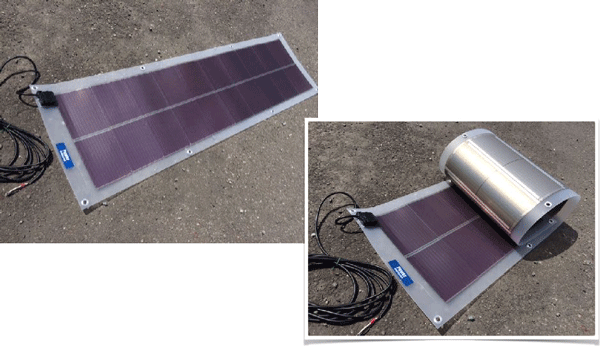 As sheet-type amorphous solar battery that is light and can be bent is used, the solar battery sheet can be rolled, stored and carried easily. 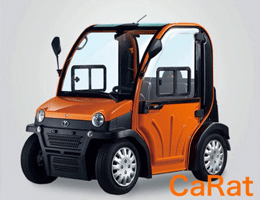 As it can be mounted even on a small car, it can be carried to the desired place so that PV power generation is enabled immediately in any place. Use of main power supply is enabled, and the highest level of powerful large capacity (920W!) *1 in Japan is available. 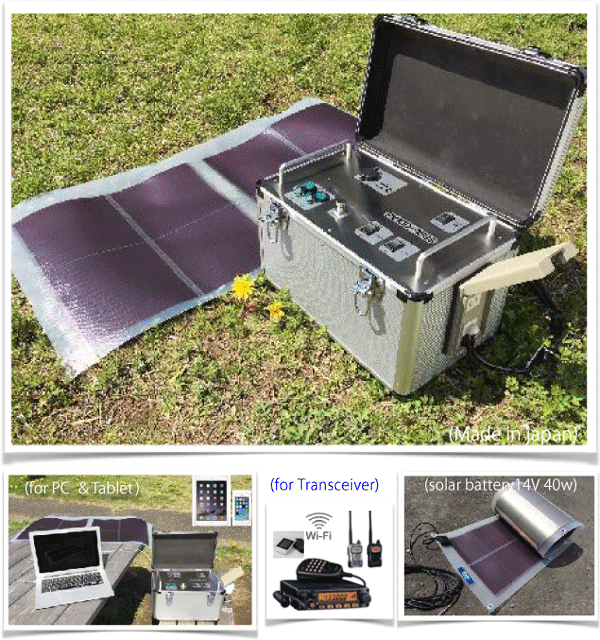 Can be used at once as power supply for personal computers or lighting even in a place with adverse conditions of power supply such as work site office or mountainous region, or outdoor events, etc. ◆Power supply at emergency such as power failure, disaster, etc. Very useful for securing of emergency power supply for power failure, disaster, etc., or for charging. 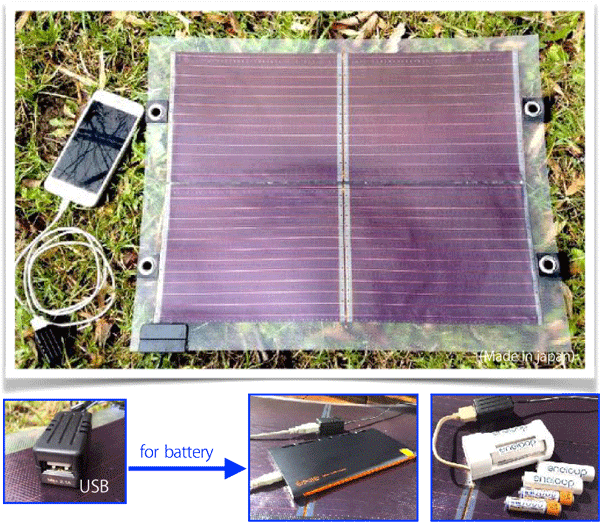 The feature of this sheet type solar battery is a light thing and there is water resistance. 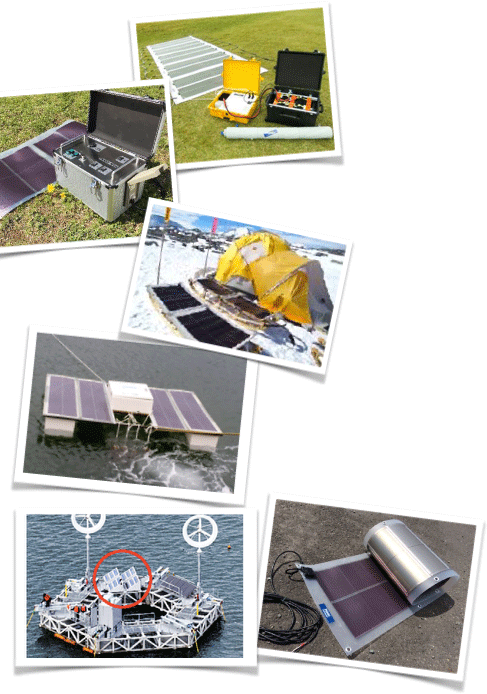 Moreover this sheet type solar battery can be prepared for the various uses because even seawater doesn’t rust. 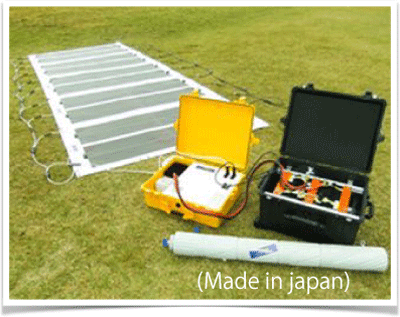 It’s possible that sheet type solar battery makes various products corresponded to the voltage, the amount of electric power generation and a layout. When you’d tell the condition, we’ll produce a solar cell product as hoped.